The Actor's Guide to Agents (Paperback) | The Drama Book Shop, Inc. The Samuel French Actors Guide to Agents is a comprehensive directory guide containing essential industry and contact information for a wide range of talent agencies across the United States. The talent agent listings cover Los Angeles, New York, Chicago, and other regional markets including the tri-state area, greater California, Pensylvania, and Florida. This quarterly publication also contains articles by industry professionals, in addition to other tips and resources that serve to help actors get their foot in the door. 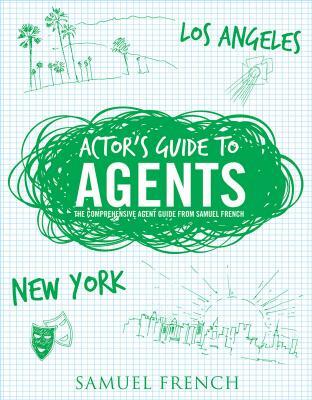 The Actors Guide to Agents is one of three parts to the Samuel French Actor's Suite. 1. FIND: Use the Actor's Guide to Agents to discover the agencies that fit your style. 2. PREP: Use Headshot Envelopes to go pro and showoff your look (9781199009807).